You are currently browsing the tag archive for the ‘Valtari’ tag. You always know things aren’t quite right when a band starts sending mixed messages, and that’s the case in the Sigur Ros universe. A couple of years ago we got the old ‘we’re on an indefinite hiatus’, which is always code for ‘we can’t stand the sight of each other’. Then came Inni, a film of the band playing live and an accompanying sound-track album; both are excellent, but was it a way of keeping the fans onboard before they lost their patience? Then we heard that Sigur Ros had started working on a new album, but ditched all that material because it wasn’t any good, and fair enough, quite frankly. But now, almost completely out of the blue, or the misty green if the sleeve is anything to go by, we have Valtari – the sixth studio album. That should lead to wild partying in the streets, especially for those of us who’ve been following the band from the beginning, but, regrettably, there’s more to worry about. 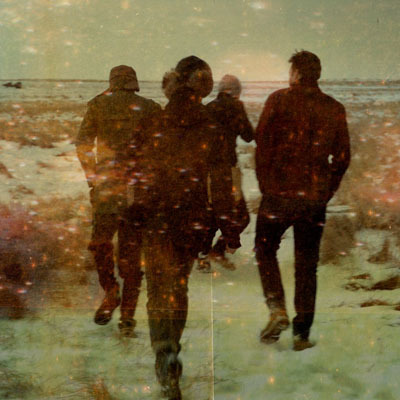 During interviews to promote this latest record the members of Sigur Ros have been saying things like ‘we were going through old songs that we’d previously discarded and found things that weren’t so bad’ and ‘we rediscovered this bit and that bit and just stuck it all together and – hey presto! – a new tune’. Even more concerning, it appears that the band had to give the lot to Alex Somers, the partner of lead-singer and guitarist Jón ‘Jónsi’ Þór Birgisso, to make something of the whole wretched mess. So, is it a mess or not? On first listen, yes it is – the songs do indeed feel like scraps. Some of the songs sound like not-up-to-scratch intros to songs from previous albums; one, ‘Eganda’, the opener, sounds like a whole bunch of said intros stuck together with masking tape and without much care. 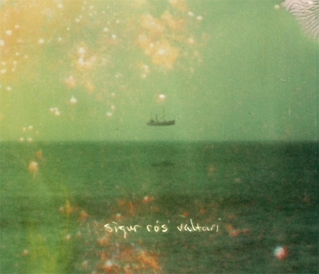 Apparently for a while there somewhere the band was working on a choral record and elements of that remain on Valtari – the most obvious is ‘Dauoalogn’, which is Sigur Ros at its most ethereal, although the title translates as ‘calm death’. Yes, on this record, the title of which means ‘steam-roller’, we’ve heard it all before. There’s the ground-swelling, at times ground-breaking prettiness, Jónsi’s pixie-esque falsetto and cello-bowed guitar, and, all in all, the big Icelandic landscape atmospherics. ‘Varuo’ is a case in point, which, it has to be said, is a Sigur Ros promised fulfilled. After a few listens, however, half a dozen say, especially if you’ve got a fire going, you’re a bit pissed, and you have a feeling that the world’s going to hell in a hand-basket, Valtari as an album starts to make sense – glorious sense. What Somers has managed to do is craft from off-cuts an extraordinary suite of songs, which, as a whole, is closer to the magical Riceboy Sleeps album he made with his partner than anything in the Sigur Ros back catalogue. Although, of course, this is still Sigur Ros. And that does pose a problem for the band: what on earth do they do now? I can’t help hoping that this is it, and I can’t help thinking that this is meant to be it; it certainly does sound like the credits are rolling. Even look at the pic above: they’re walking away from us. I used the word extraordinary before. Is that really appropriate, considering the mind-blowing music that Sigur Ros has made over its twelve-year career? Yes, it’s necessary. In the end, this is an elegant record: it’s graceful, it’s refined, and – here’s another word that has to be used – beautiful. However, Somers knows that there’s dark in the light, gravity in the uplift, danger in the sugar-sweetness. He’s allowed the band to take their sweeping, majestic post-rock sound to its conclusion. And there I go again, don’t I, using words of endings, because I can’t get away from that feeling that on Valtari we’re hearing the sound of an ending. If you’re not convinced, or have never been convinced by Sigur Ros, search out the title song from the album – it’s hard to imagine an ending more exquisite than this. And Jónsi doesn’t even sing on the bloody thing.